In its fifth year, the Write Michigan Short Story Contest is not so secret any longer. We are delighted this year to have again crossed the bridge with several entries from Michigan’s Upper Peninsula! This statewide contest offers opportunities for writers in four categories—11 and under, 12–17 years old, age 18 and older and Spanish language—with three cash prizes awarded in each category. The stories in this anthology are among the nearly 600 submitted between September 1 and November 30, 2016. A group of 90 volunteers initially screen the stories, two of them reading and rating each story anonymously to determine our top ten semifinalists in each category. 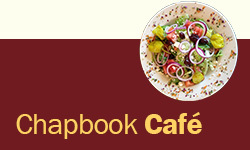 A panel of judges, most published authors themselves, then review the semifinalists’ stories to see which ones shine the brightest, while the public cast 4,226 votes for their favorites. 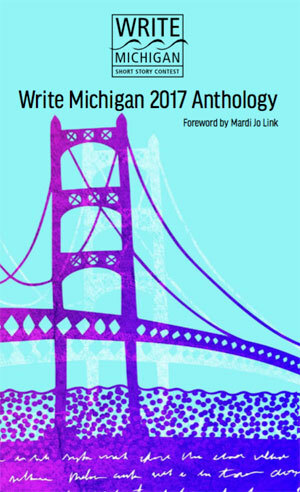 With this anthology, we share in the telling of some of the best stories imagined by Michigan writers. Printed in these pages are 24 stories, including the Judges’ Choice, Judges’ Choice Runner-Up, Readers’ Choice, and published finalists in each of the four categories.